Here's a very long list of all the content you'll find on my website, top level categories are listed alphabetically. The ten most recent pieces of content within those categories are listed in descending chronological order, showing the newest piece of content first. Higgypop.com is primarily managed and updated by Steve Higgins, but there's also a few truly excellent regular contributors. Unique paranormal qualifications designed to give you a practical understanding of the science behind hauntings. A collection of prank calls, scam baiting and even some original music I've created in the past plus the archive of mine and Kerry's old podcasts. The latest episodes of Higgypop and Matzhouse's podcast on digital content and creativity. The claims of Satanic ritual abuse have seen a resurgence in recent years. Festive news, Christmas games, trivia, features and quizzes, as well as countdowns to those little steps that tell us Christmas is on the way, like the return of classic festive television commercials and the first sip of a Starbucks eggnog latte in a red cup. Your chance to win magical prizes from the world of potions. Get in touch with Higgypop via email or social media. Unique paranormal qualifications designed to give you a practical understanding of the science behind hauntings, as well as improve your knowledge of the myths and legends associated with ghosts and the supernatural. Modern demonology is a set of skills and best practices that paranormal investigators use to identify, communicate with, summon and control demons. Case files on some of the most famous haunted houses, recurring ghost sightings, and poltergeist cases in the world, including the latest research, photos, videos, and evidence. Play paranormal games online. Test your knowledge of the occult with trivia quizzes about magic, the paranormal, mythical creatures, the unexplained and conspiracy theories. The latest paranormal evidence news and episode reviews from the long-running US paranormal show, Ghost Adventures. Headed up by Zak Bagans, the fearless paranormal investigators travel across America and around the world investigating some of the most haunted locations of all time. Review and video tutorials for the GhostArk all-in-one ghost hunting device. Helping ghost hunters, paranormal investigators and enthusiasts discover and record paranormal occurrences as easily as turning a knob. The latest news on ghost, the latest ghost sightings, and questions about ghosts answered. We return to Pool Park for round three but this time we are doing a massive collaboration for a Halloween special. From magic potions to secret underground bunkers, if it's odd, quirky or unexplained you'll find it here. The latest reports of ghosts, UFO sightings, emerging conspiracy theories and government secrets unearthed. Free daily horoscopes for the next seven days, accurate forecasts as predicted by astrology experts for every star sign, covering matters of love, finance and more. Longform stories about the paranormal and conspiracies, in-depth articles, essays and transcripts, all of which are at least 2,000 words long and take more than five minutes to read. There have been reports of mermaids for centuries, the tales are rooted in the folklore of many cultures worldwide. Mermaids are said to live beneath the ocean and are half human but with the tail of a fish. Even to this day people claim they have seen merfolk. 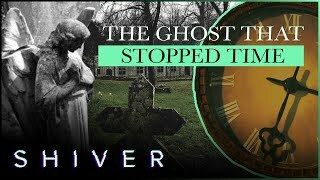 The latest paranormal evidence news and episode reviews from the long-running British ghost hunting show, Most Haunted. 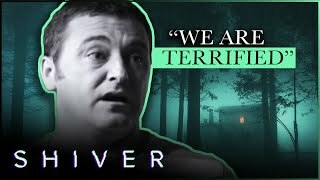 Headed up by husband and wife team, Yvette Fielding and Karl Beattie, the fearless paranormal hunters have travelled across the UK investigating paranormal activity for 24 hours at a time. From supernatural comedies to ghostly thrillers. Here you will find the latest information, news, and reviews on some of the greatest paranormal movies of all time. News, updates and episode guides on supernatural television shows and paranormal movies, including 'Stranger Things' and 'The haunting Of Hill House' and more. Sign up to the Higgypop newsletter and you'll get to find out about my new videos and exclusive content first, including blog posts, games and quizzes, plus competitions and giveaways. Ten coloured crayons pencils making up the whole rainbow stored in a unique unicorn-shaped holder. "Always be yourself, unless you can be a unicorn, then always be a unicorn" funny wall art on a metal plaque. Angelical Whisper's ritual tools 5 inch silver plated chalice with a pentagram design. Full instructions for brewing Higgypop's potions and information on where to find magical potion ingredients, plus photos and videos of the potion's effects. A complete list of all ingredients used by Higgypop in his magic spells and potions videos. My true first love, I've always been obsessed with radio. Its what drove me to better myself, it got me my first job beyond retail and even now that I no longer work in radio, it's still one of my great passions. A complete list of all content on this website, listed alphabetically by parent category and in descending date order for content within those categories. Stranger Things is the Netflix show we’re all watching. Read our episode guides, test yourself with our quiz, and check out all the 80s references & more. News and reviews on paranormal television series, ghost hunting TV shows, science fiction and supernatural dramas - including Most Haunted and Stranger Things. The latest scientific findings in the field of time travel research, evidence of time travellers visiting our timeline and theories on spacetime manipulation. Various top ten lists of haunted locations by location, region, city and by type, find the most haunted pubs, castles and tourist attractions. Long before Higgypop was known on YouTube for weird potions and spells, he produced an ongoing series of spoof travel guides of some of the UK's least glamorous locations. The most popular trending content from the world of the unexplained, magick, paranormal and conspiracies. The Ouija Brothers go underground Wolverhampton into the haunted basement in Queens Street. Research and exploration of manmade and man-used underground places around the United Kingdom, including discussed stones quarries, mines, wartime subterranean factories and ammunition stores, Cold War secret nuclear hideaways, and modern day underground secrets. 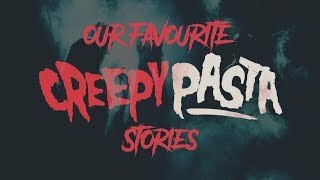 Full paranormal documentaries, new ghost hunting films and trending videos about the unexplained, mysteries and conspiracies from popular YouTube channels and professional filmmakers. This is a small clip from Broad Lane South that we recently did where we captured possible footsteps from downstairs. Unexplained, paranormal, supernatural and just downright weird news from the city of Bristol in the West of England. A city famed for its historic docks, innovation and culture. From UFO sightings to the city's most haunted location, you'll find it all here. Higgypop.com and the associated social channels including the hugely popular YouTube channel, HiggypopUK are run by Steve Higgins, a digital content producer with over ten years experience creating videos, podcasts and website features for some of the biggest media brands in the UK. The average employee wastes nearly 13 working days every year - in "unproductive" meetings, it has emerged. How do the changes to data protection law impact on bloggers and small websites?